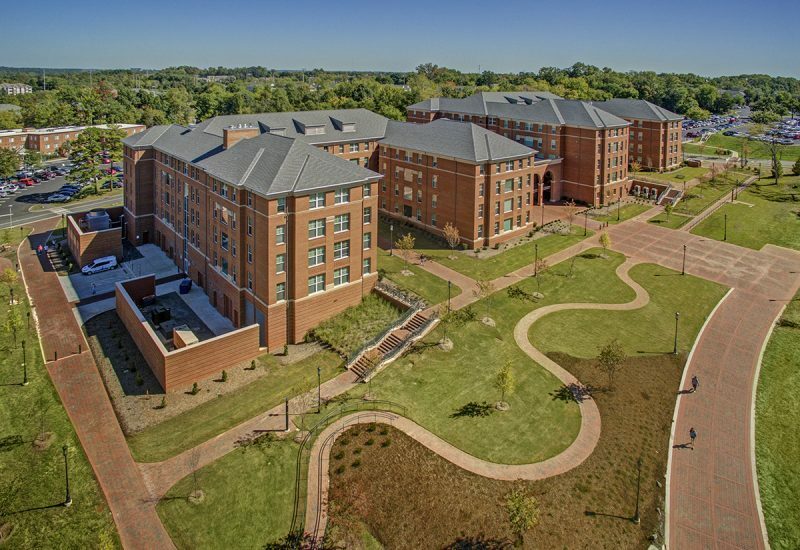 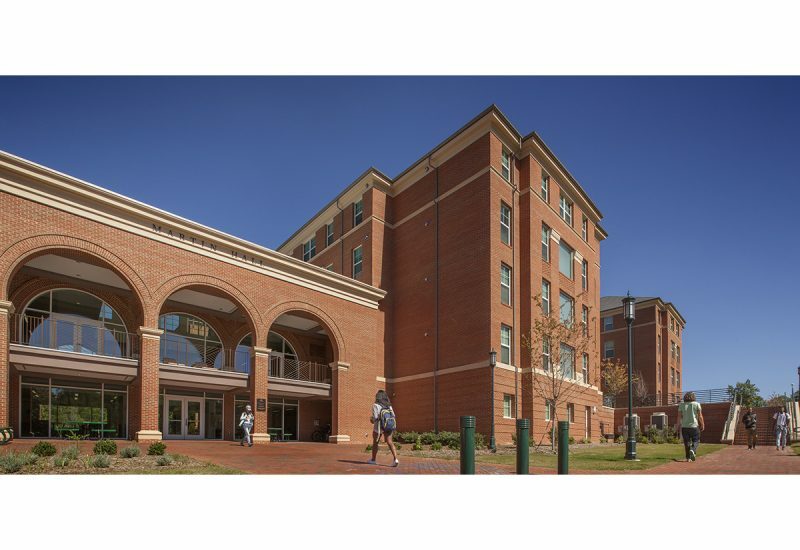 Design for Martin Hall introduces a new model in housing for upperclassmen while responding to UNC Charlotte’s campus design standards. 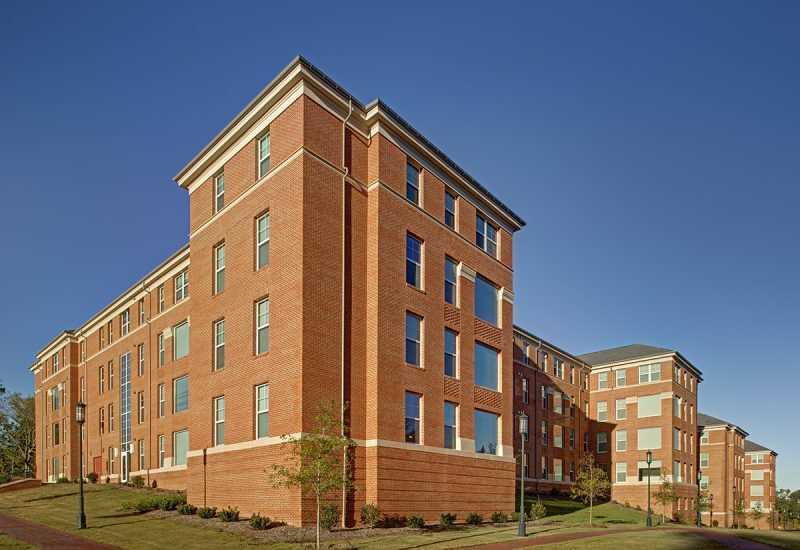 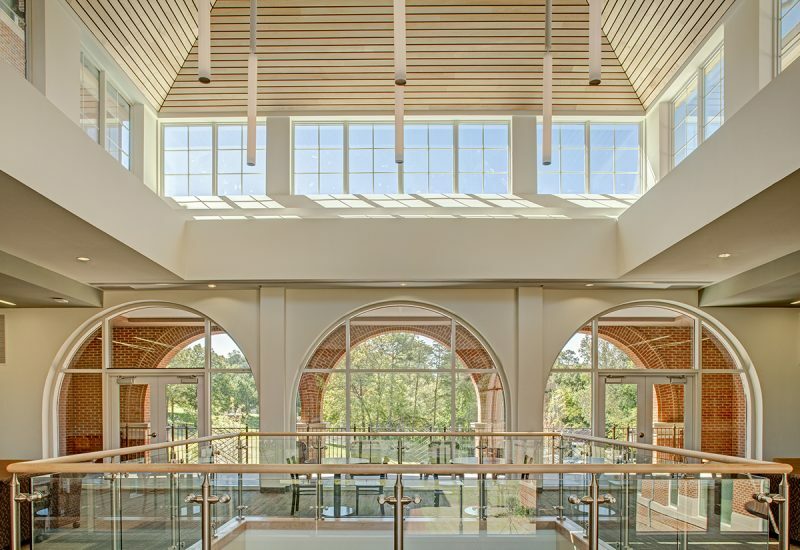 The exterior of the 170,000-sf building incorporates brick and cast stone to craft a building that implements traditionally Classical elements with a distinctly regional twist. 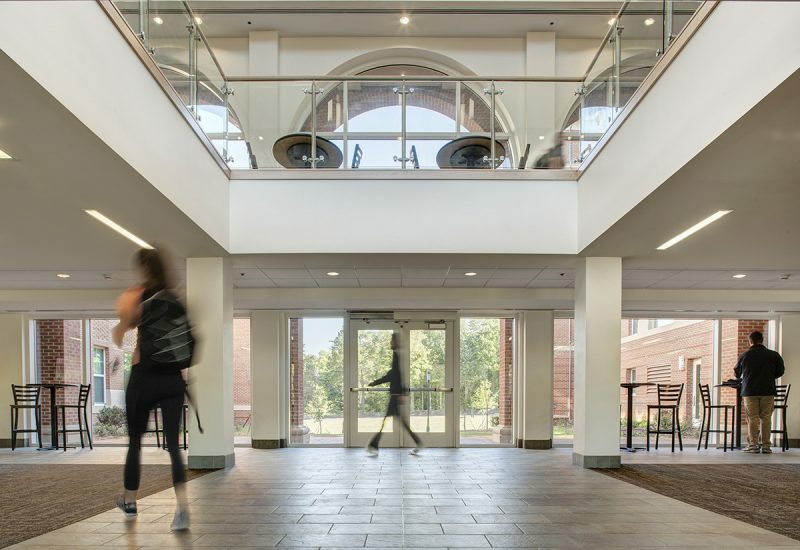 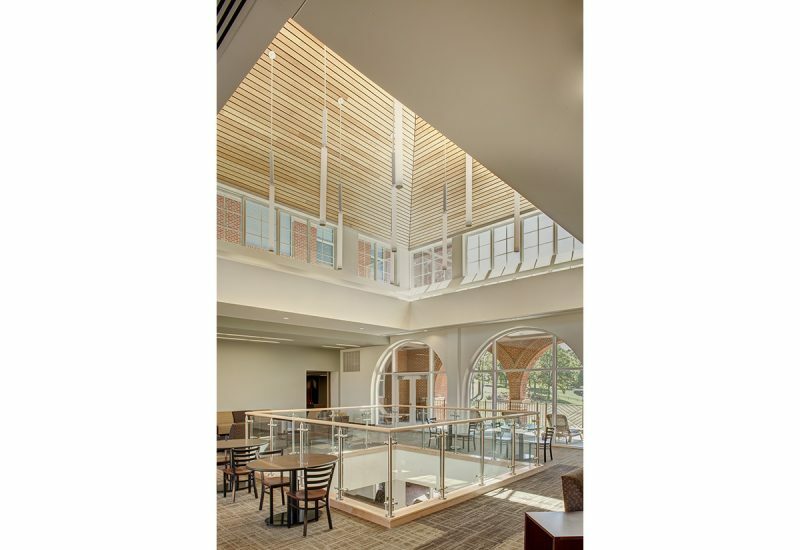 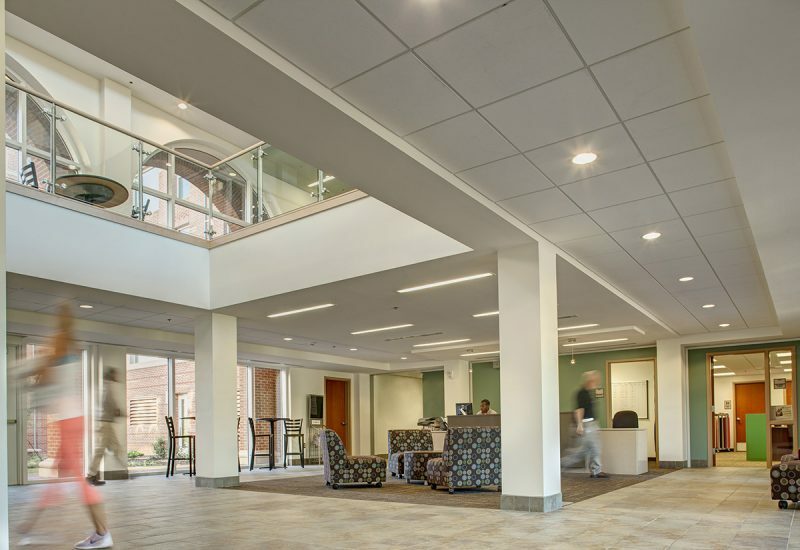 A primary entry leads into a large lobby and commons area designed to build a greater sense of community with opportunities for social, recreational and academic engagement. 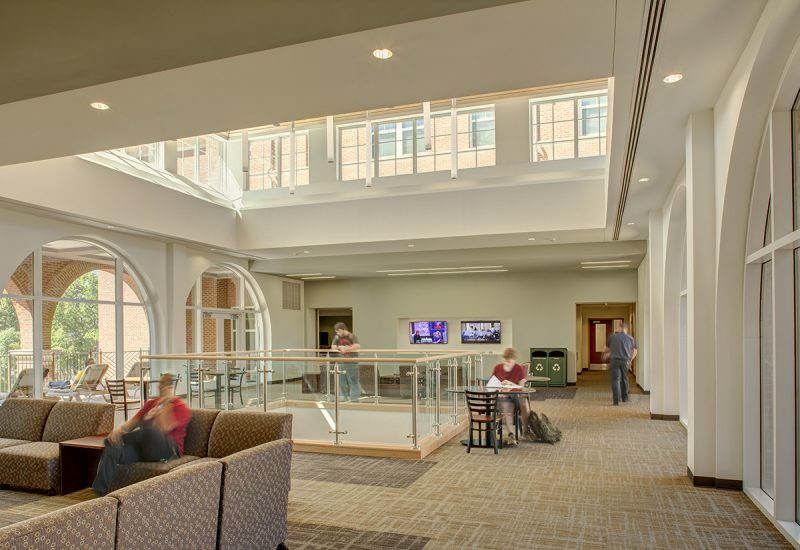 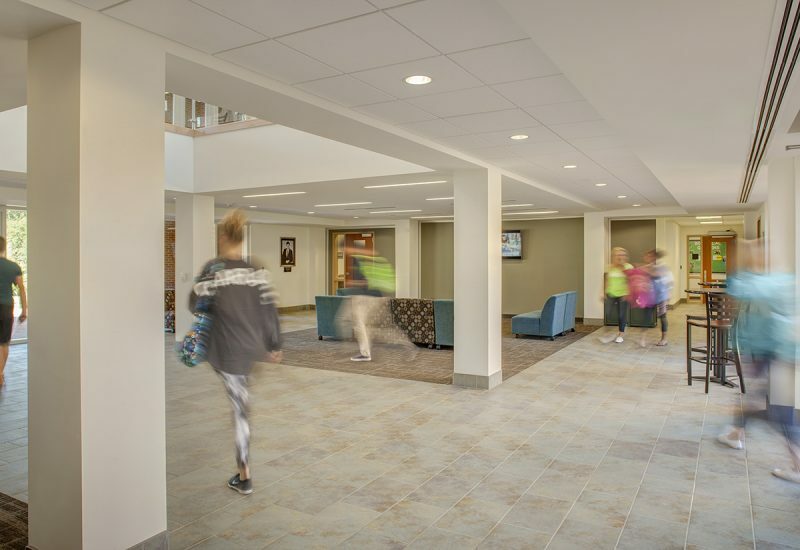 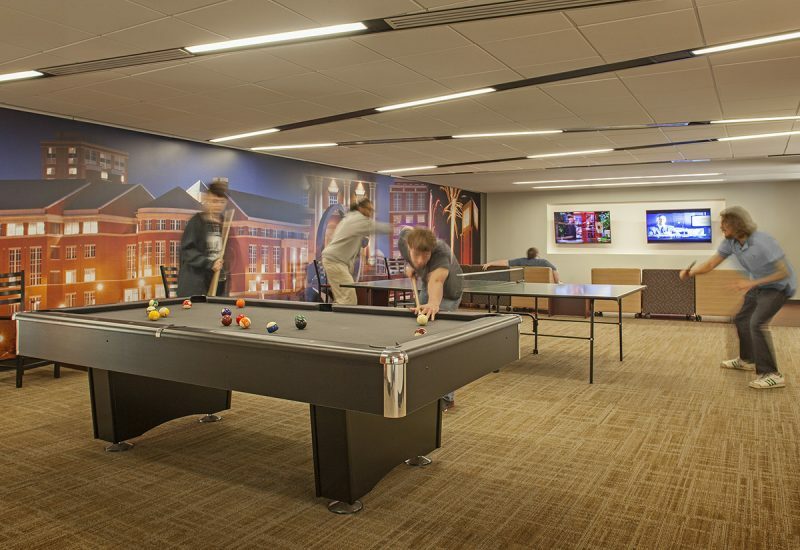 Facilitating student interaction is a key driver of the design, which also incorporates multiple smaller study / social spaces on every floor to add to the sense-of-place and create an intuitive building organization. 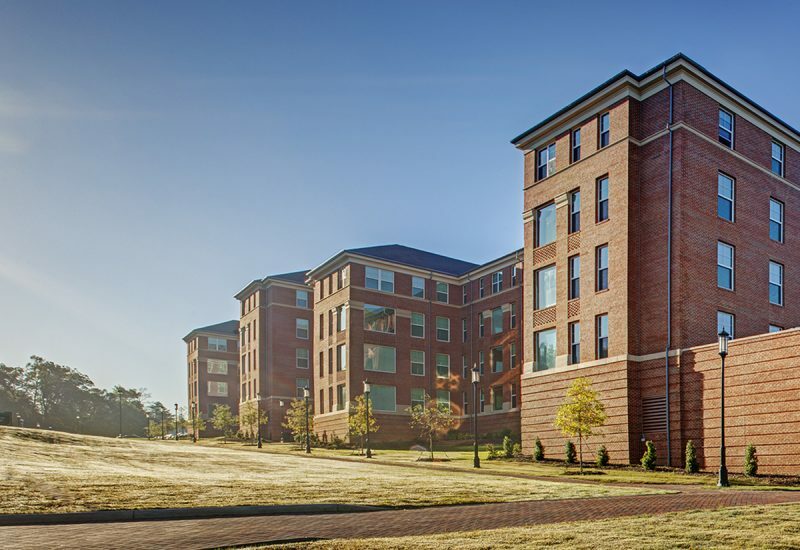 The facility provides 404 beds for upperclassmen, incorporated into furnished 4-bedroom / 2-bath apartments—each with full-sized kitchens and their own washers and dryers.